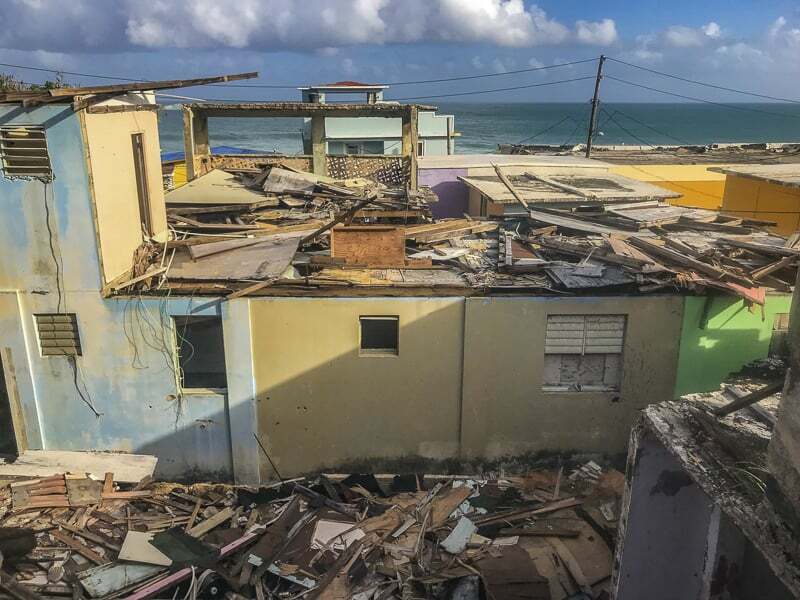 We all watched as the Caribbean was hammered by hurricane Maria last October and nowhere was in the headlines more than Puerto Rico. You may think it is off limits for 2018 travel, but there are plenty or reasons to visit Puerto Rico. It is open for business and the island is ready to welcome tourists to the Island of Enchantment. 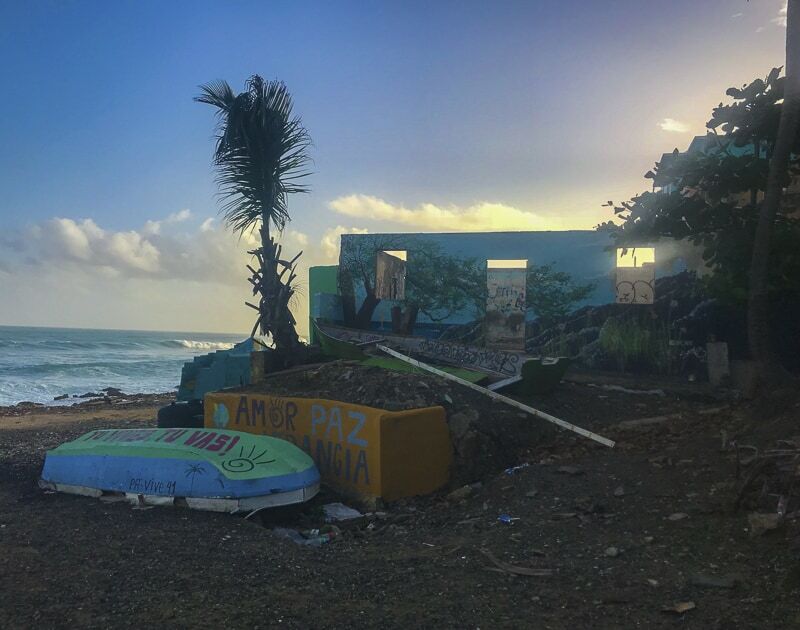 The island was devastated by the hurricane but the Puerto Rican people are resilient and have bounced back against all odds. While we could go into politics over the entire thing but we would prefer to let you know how you can help. And we want to give you our first hand account of what we saw in Puerto Rico when we visited in January. We met people who were inspiring and courageous and we met people who were optimistic and hopeful. They took matters into their own hands and were grateful for the help they received from the many outside agencies that came to their aid. 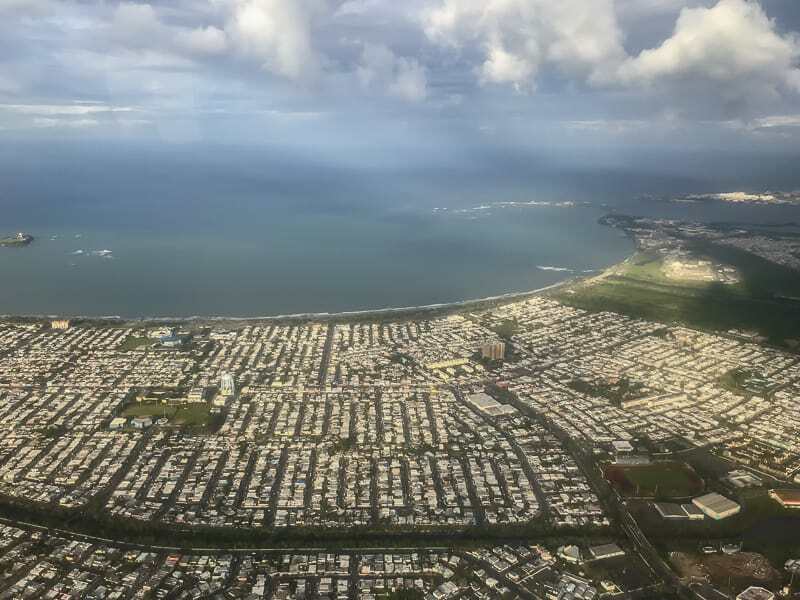 We felt honoured to be invited by The Points Guy and Puerto Rico tourism to see how the island is doing and to be able to share an update with you. 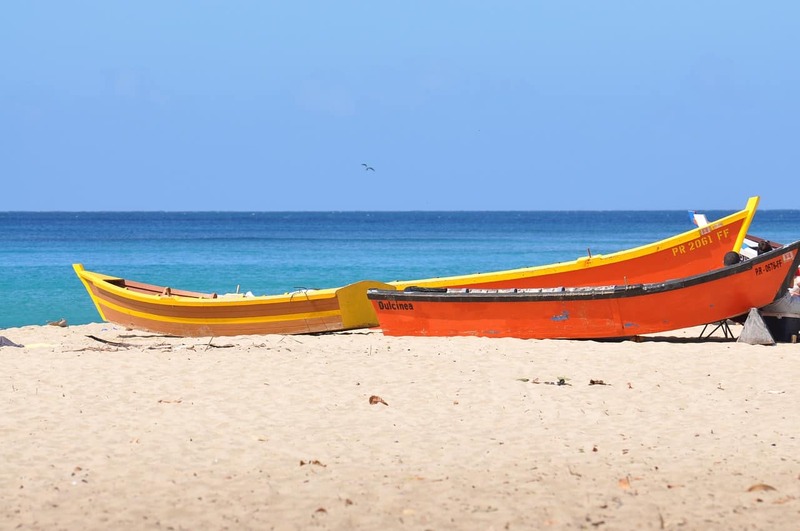 While most people are avoiding Puerto Rico at the moment assuming it is in dire straits, we saw a Caribbean Destination that is primed and ready for tourists. The locals and businesses want you to come on down and here are 10 reasons to visit Puerto Rico Right now! Reasons to Visit Puerto Rico. We have always believed in the power of travel because it not only pumps dollars into communities, it also breaks down barriers, helps people see the truth and gives people an open mind. Travel is the best education and best way to make new friends and open your hearts. When we asked what is the one thing people can do to help Puerto Rico, the answer was come and visit Puerto Rico. 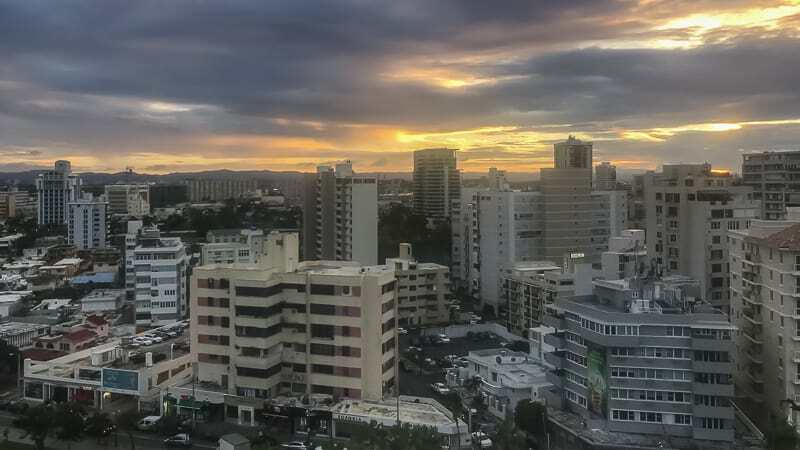 Many people have the misconception that by visiting Puerto Rico, they are bothering the locals and taking away resources. In fact the opposite is true. Puerto Rico needs visitors now more than ever. When you stay in their resorts, eat at their restaurants and shop at the local markets, you will be rebuilding the economy quicker and helping the people. I know what you're thinking. You've heard that Puerto Rico is without power and water, but that is only in the remote villages. The city of San Juan and many other popular tourist destinations are open for business and ready to welcome you. While some resorts are still rebuilding, a lot of hotels are open and in full operation. There are plenty of restaurants open and the nightlife is in full swing. If you visit Puerto Rico, right now, you'll have all the amenities you've grown accustomed to when on vacation. Visiting the Caribbean in the high season can be overwhelming. Beaches are crowded, tours are sold out and restaurants are filled people from screaming kids to partying students. Right now, it's the perfect time to go to Puerto Rico because there are no crowds. It's the Caribbean's best kept secret at the moment. If you visit Puerto Rico now the beaches are deserted. We stayed on the main tourist beach of San Juan and had it all to ourselves. We walked in the mornings and afternoons and barely saw a soul on the beach. Sunbathers had no problem securing an umbrella and surfers and boogie boarders had their very own waves to catch. 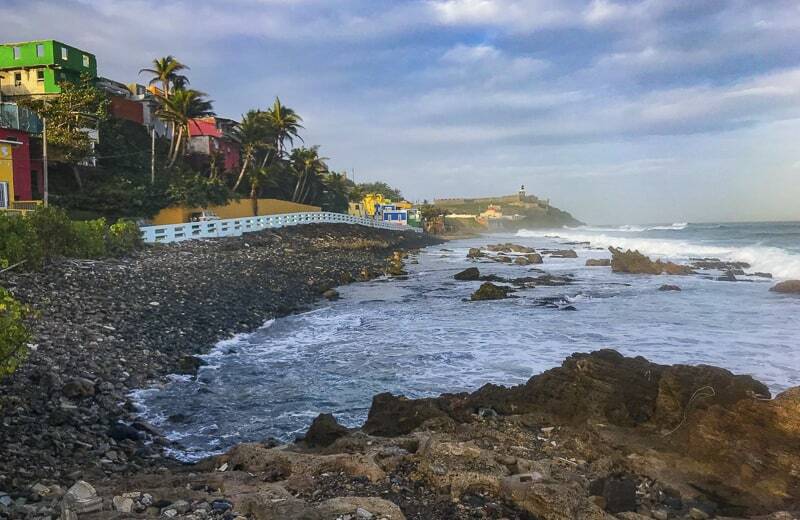 If you want to go to a place that feels off the beaten path (but won't be for much longer) Puerto Rico is the place to be! 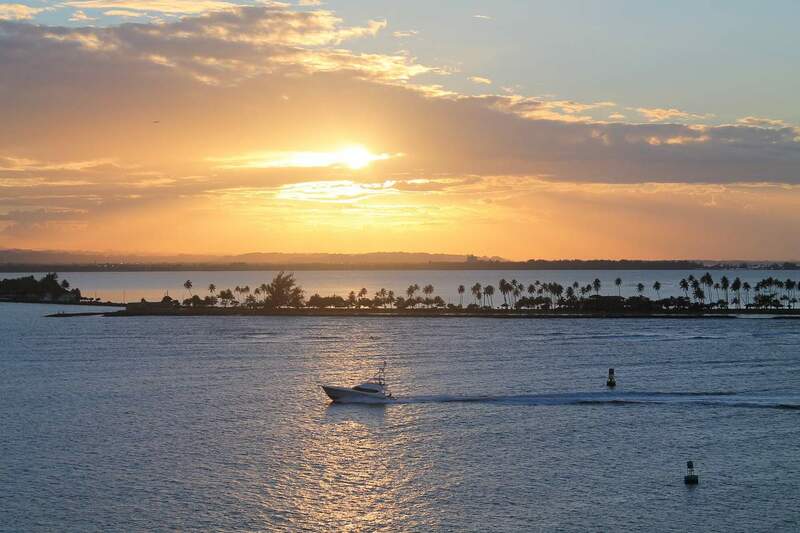 For our American friends, Puerto Rico is the perfect destination. It's as simple as flying to California or Florida. All you need to bring with you is your drivers licence or government I.D. and you can be in Puerto Rico in a few hours. Because it is a U.S. Territory, it's exactly like traveling to anywhere in the US. The dollar is the same, the TV Channels are the same, the language is the same, with a mix of English and Spanish and many of the restaurants are the same. For the Canadians out there, it's just the same as traveling to Puerto Rico as it is to Florida. While you do need your passport, it's pretty easy to travel to. Now is an excellent time to visit Puerto Rico. 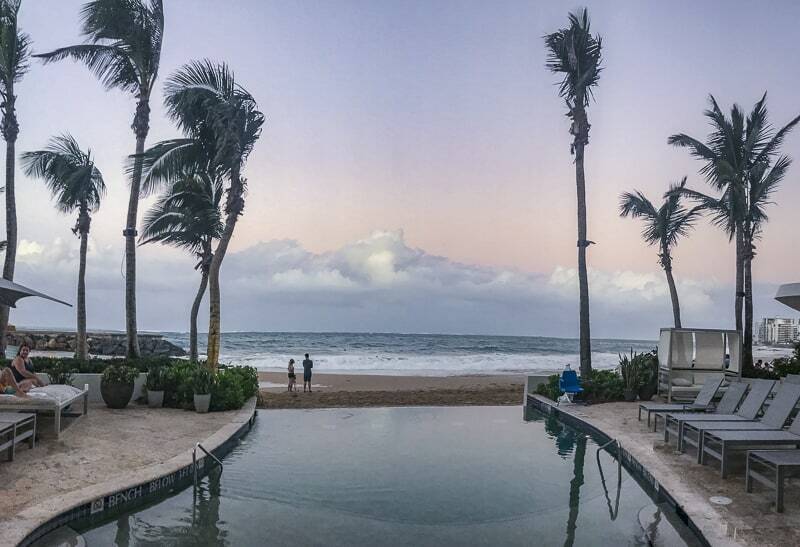 We stayed at the lovely La Concha Resort on the main beach of San Juan and it is completely open for business. The restaurants around the resort are open, the bars and nightclubs are open and the beach is nearly deserted. When escaping the winter chill, we often end up at crowded beach destinations fighting for a spot under an umbrella. Well, because the world thinks Puerto Rico is in ruins, its usually busy beaches are a dream right now with few tourists. If you are looking for a spot away from the beaten path, this is the place to be. Just Because it's quiet, doesn't mean it's not ready! When out at the local hot spot Lote 23, people were out enjoying the fresh evening air and each other's company. And when dining at Cocina Abierta, it was bustling with people dining on its open air terrace. We took over the private dining area where we sampled Traditional Puerto Rican cuisine using staples like plantains, pork and local seafood. 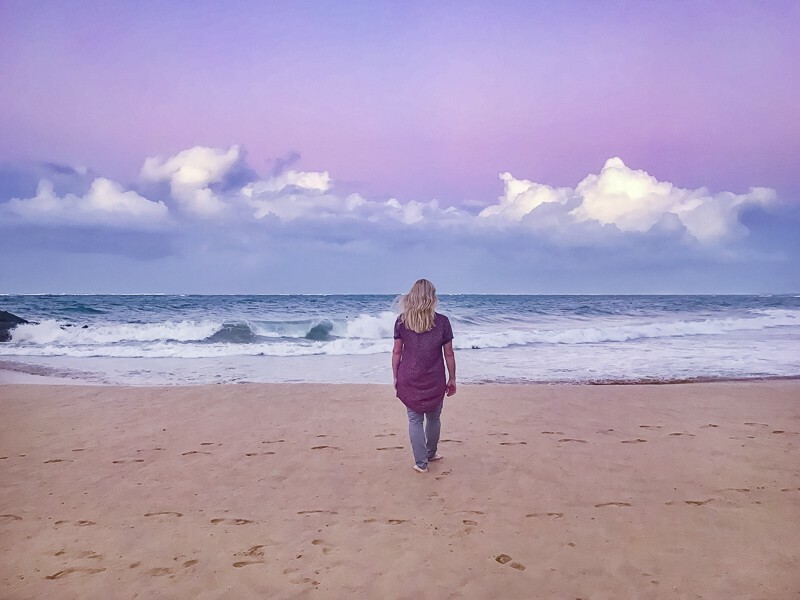 A lot of people want to make their travels meaningful and there is no better way to mix a bit of voluntourism with your vacation to Puerto Rico. 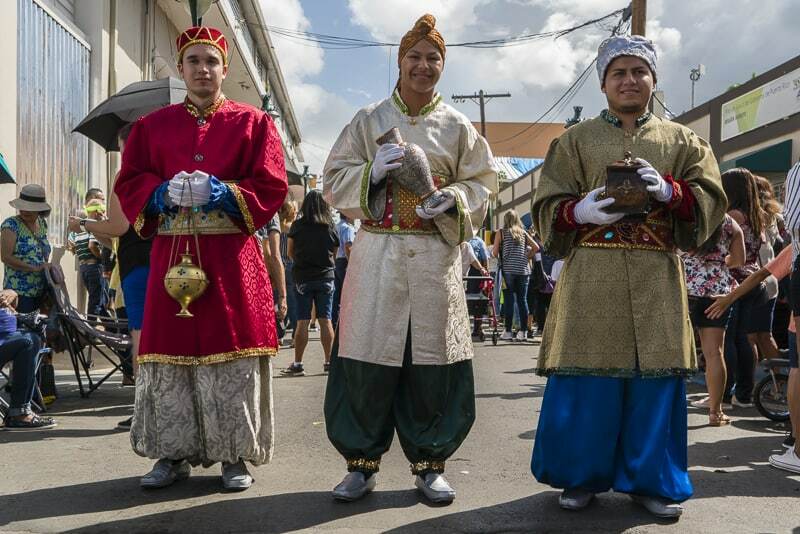 Love in Motion was opened by a group of Puerto Rican businesses who run Local Guest a tour company offering local experiences to off the beaten path destinations. They take tourists out to places in need to help rebuild communities and get to know the locals. It was truly an amazing experience to get out to the lesser travelled areas of the island and meet the locals while doing our part to help out. We have done volunteering in the past during other travels and have always said that it is a wonderful way to add meaning to your vacation while creating memories to last a lifetime. If you have ever contemplated making your next vacation a volunteer vacation, this is the place to do it. 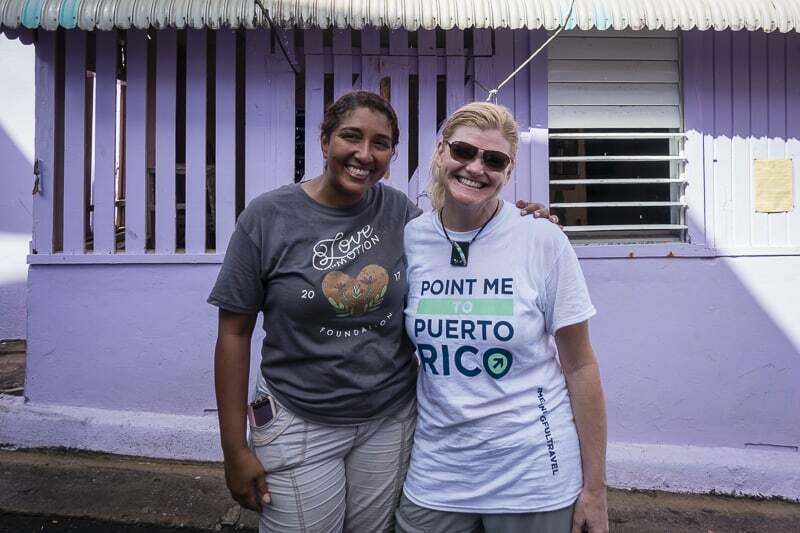 Note: you don't have to make your entire trip about volunteering, you can just do a day or two while you are in Puerto Rico, every little bit counts! Puerto Rico may be a part of America, but it feels as if you are traveling to somewhere exotic. 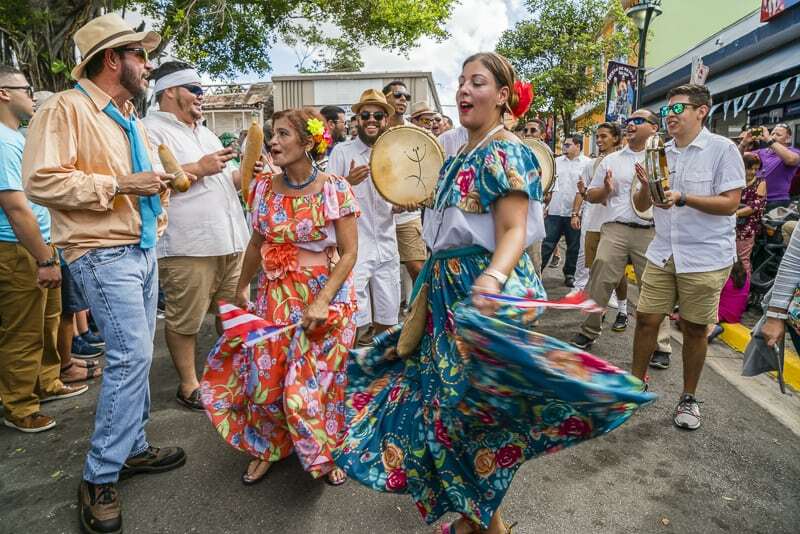 Puerto Rico is made up of Spanish, African and Taino (one of the largest indigenous people of the Caribbean) There is a definite Caribbean flare when visiting Puerto Rico with festivals, outdoor markets, lively nightlife and unique cuisine. 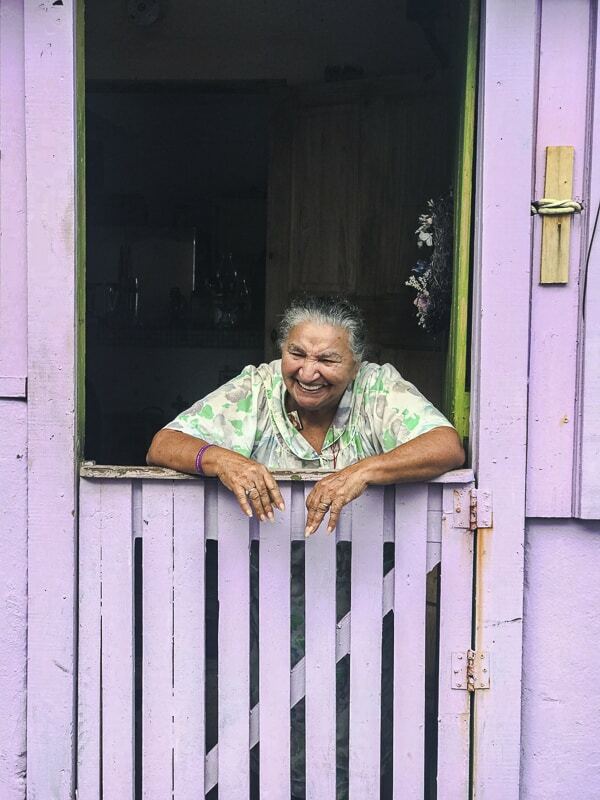 Every day we felt like we learned something new and were introduced to a Puerto Rican tradition. There are many things to do in Puerto Rico to make your vacation perfect. 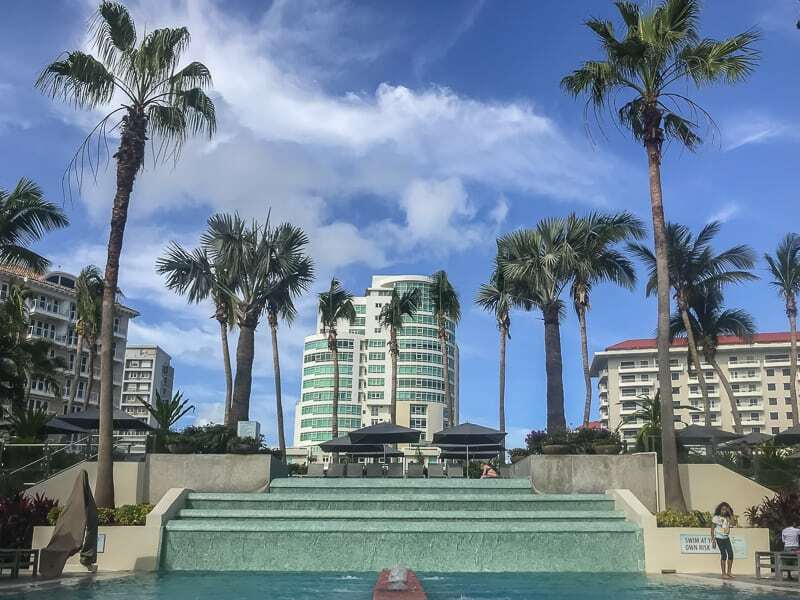 You could simply hang out at the beach of San Juan and relax at the pool and spa of the hotel, but you really should go out and see the island. We learned from our local guest host that there is fabulous diving off the coast and they offer kayaking tours to the mangroves and nearby islands. Surfing is popular in Puerto Rico and one of our fellow travellers commented on how awesome the waves were. He was from California and was an avid surfer, so we took his word for it. 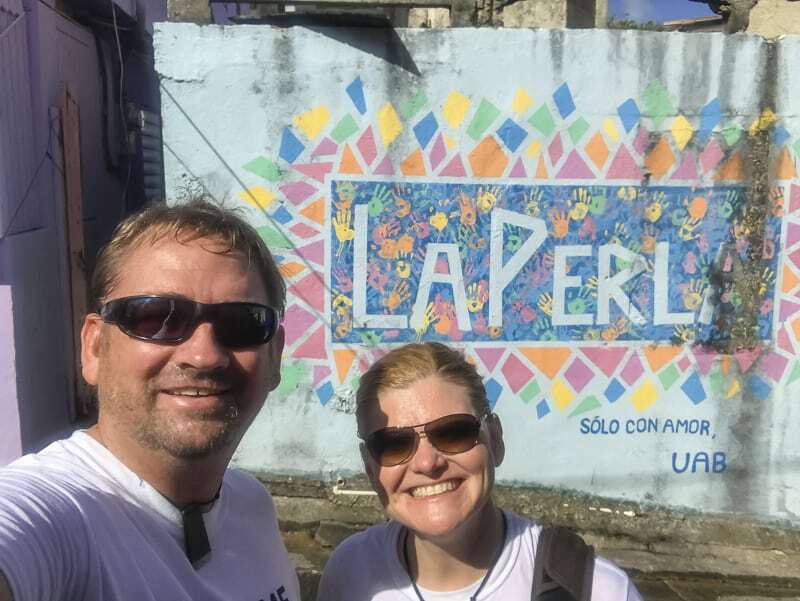 La Perla is an up and coming destination and the spot where we helped clear out a house affected by the hurricaine. The music video …. was filmed in this colourful section of Old San Juan and it is a beautiful place to spend a day exploring the fort, walking through the streets and sipping an iced coffee in a café. 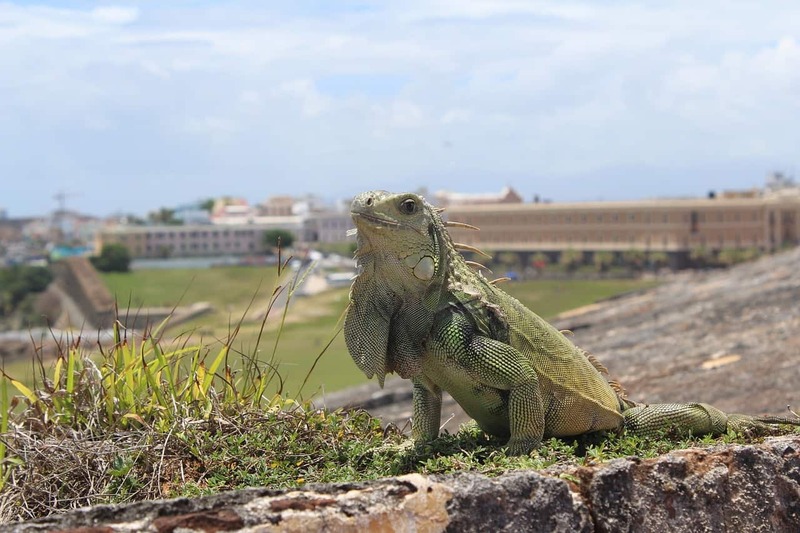 If you love history you must visit San Juan National Historic Site. 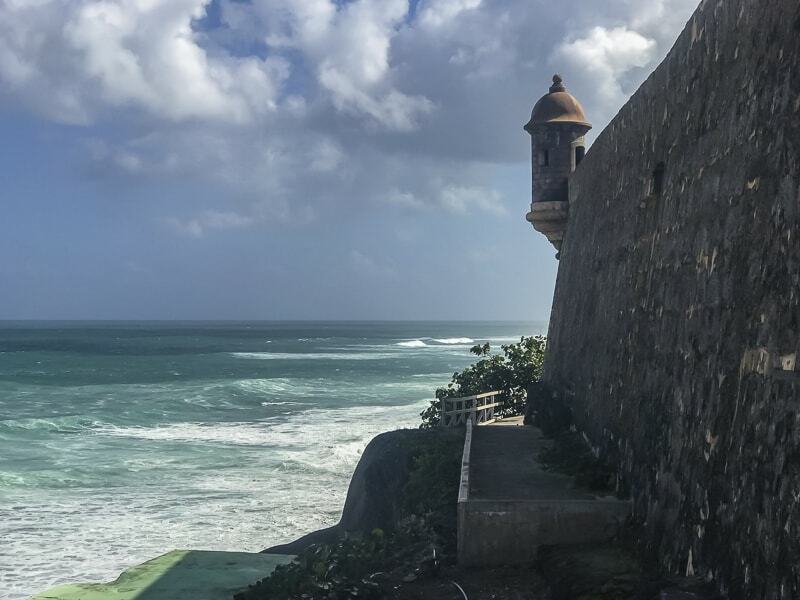 It is an impressive fortress comprised of three different forts; San Cristóbal, San Felipe del Morro, San Juan de la Cruz (El Cañuelo). Plus the city walls are still in tact. The structure dates back to the 1500s and can be toured in about 4 hours during your visit. It's huge and a must see. One of the most exciting destinations Dave and I have ever visited is the Galapagos Islands and we found out that Puerto Rico has an island that is known as the Galapagos of the Caribbean. Every Uber driver we had told us to go to Culebra Island. Its beach is often named one of the top 10 beaches in the world! We didn't make it during our trip, but the next time we go to Puerto Rico, we're going to book a few nights on Culebra Island. There's snorkelling, hiking, kayaking and other natural excursions. I like the fact that it isn't built up for tourists and residents have kept a local vibe to the island. If the locals on the main island love it, I'm sure we'll love it too! Did you know that Puerto Rico is the rum capital of the world? We didn't either…until we visited. Puerto Rico is the world's largest exporter of rum and rum was actually invented here. 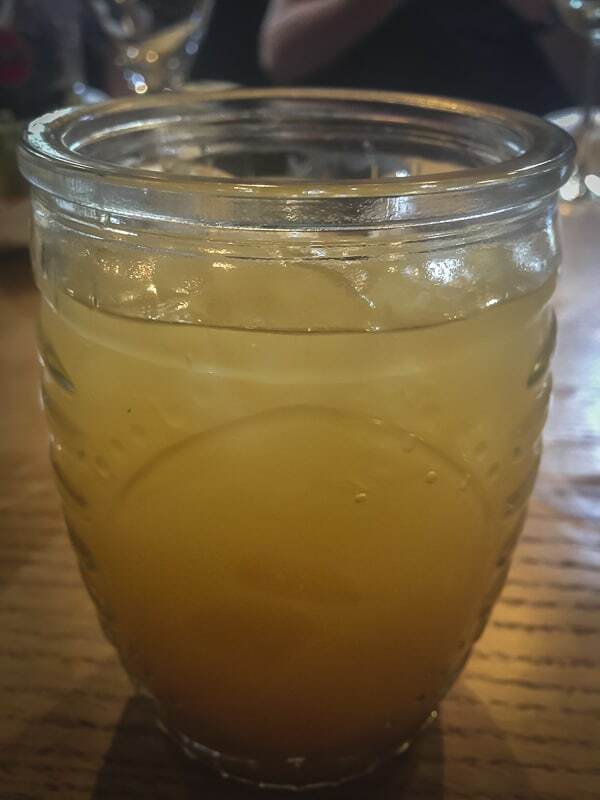 It was quickly learned that the run off from sugar cane created rum. It was in the 1500s that the first production of rum began and ever since Puerto Rico has been the leader in rum production. With winter still in full swing, there has never been a better time to visit Puerto Rico. The island is getting better every day and you can beat the crowds by going now! The weather is sunny and warm and the beaches are open for business. If you are seeking a Caribbean vacation, you will be welcomed in Puerto Rico. I know we were! Suggested Hotel – La Concha Resort. 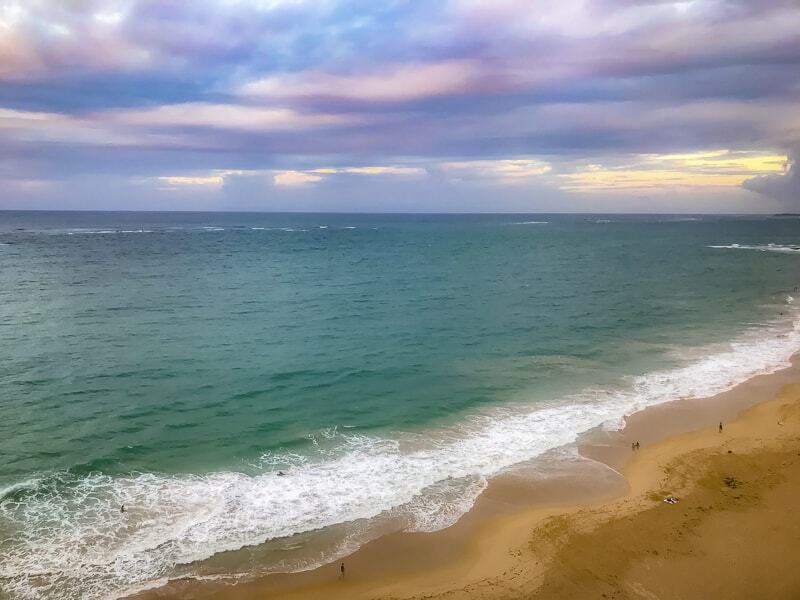 Located on Condado beach La Concha resort is a luxury hotel with a full service spa, infinity pools, bars and restaurants. 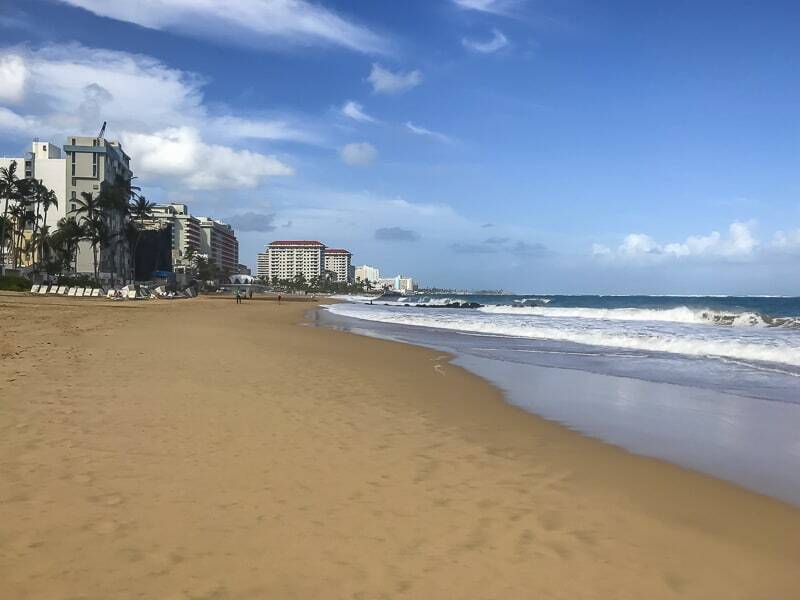 Condado is one of the most popular tourist beaches in San Juan and right now it's nearly deserted. Right now you can get that 5 star private beach vacation feel without having to pay celebrity prices. 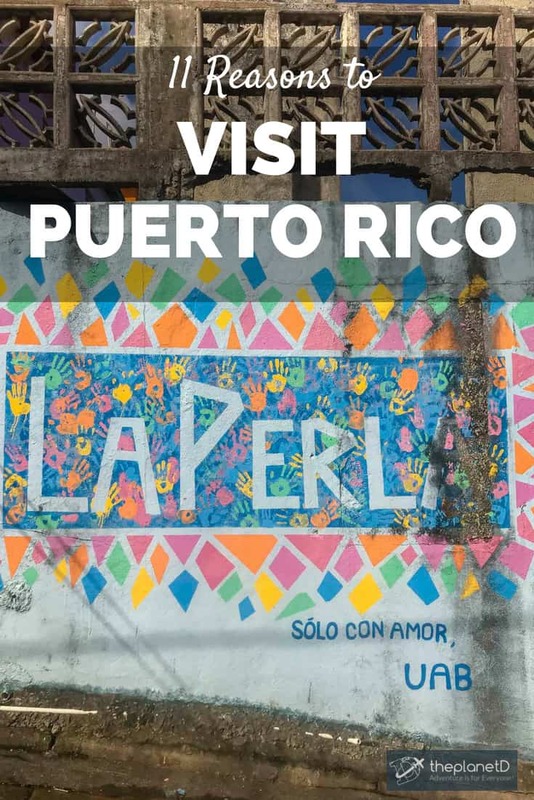 Suggested tour operator – Local Guest – Let local Puerto Ricans take you off the beaten path for authentic and unique experiences. 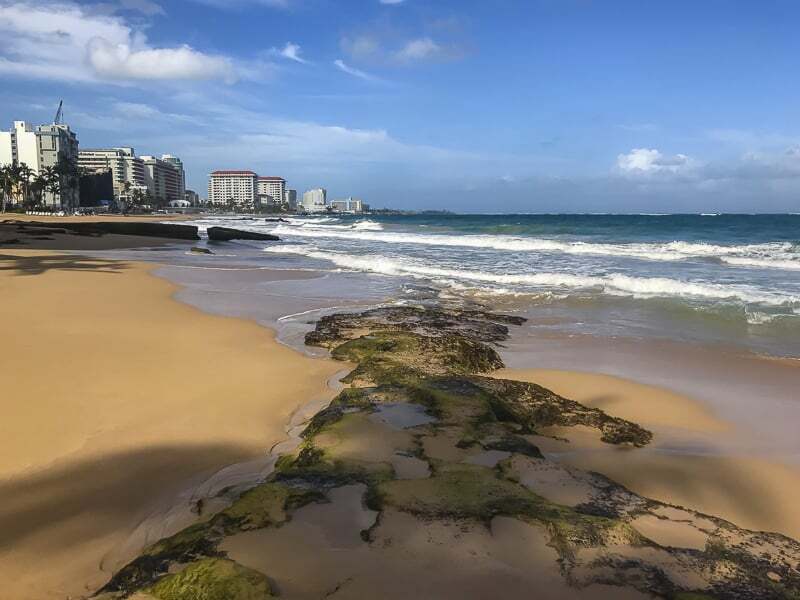 4 Responses to "11 Reasons to Visit Puerto Rico This Year"
I’ve been going to Puerto Rico every year since 1983, at first on business, now for leisure. I have many friends on the island and some who’ve left. I’ll be there again in 2 days for 2 weeks to visit friends again and just relax. My timeshare in Isla Verde was damaged but I’ve been assured it’s completely renovated and waiting. I like Balneario Monseratte in Luquillo, so I’m hoping that’s in working order – not to mention the roads thru Pinones and Loiza being passable. Finally, I have some concern about the golf courses. My unofficial canvass showed a number of them closed, so there may not be as many options to play. But the Medallas (awesome local beer) will be cold and the Cuba Libres strong. I have many friends whose parents just got power there so it is nice to see that things are back in business. Food is amazing also! Excellent post, thanks for sharing and keep it up. 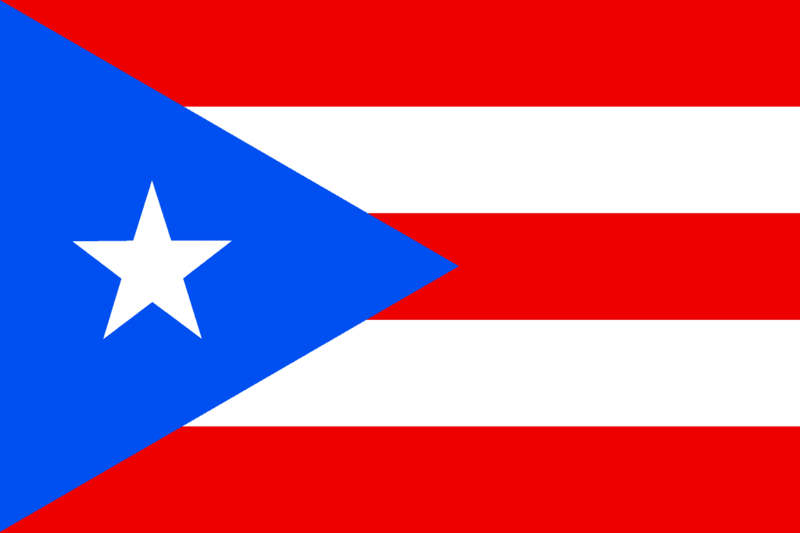 In your post you have mentioned eleven very useful points to visit puerto rico. I love travel and visit new places. I heard about the Puerto Rico few months ago, but after reading your post my excitement to visit this place get high. I have only heard about Puerto Rico, I have never been there but I want to explore this part of the world, You both are having a great time and I think there are only few people who don’t want this adventurous life.